Founded in 2009, WhatsApp (Mountain View, California, US) now has over one billion users. In healthcare, WhatsApp is increasingly used to communicate within and between teams. This unsanctioned medium offers efficiency benefits over radio frequency paging systems which rely on users finding a landline, knowing the recipient’s number, and suspending care while hoping that the recipient receives the “bleep” and calls back. While pagers have the advantage of not relying on cellular or WiFi signal, the recipient is unaware who is bleeping, why, and how urgently. Work is interrupted, time is wasted, prioritisation is difficult, and the evidence trail remains limited. In the UK, the NHS forbids the use of WhatsApp for transmitting information in the healthcare environment. WhatsApp has been shown to reduce communication delays, freeing up clinicians for service delivery and training, while helping to overcome human factor challenges around hierarchies. However, WhatsApp is not a secure or effective application for managing clinical workflow. 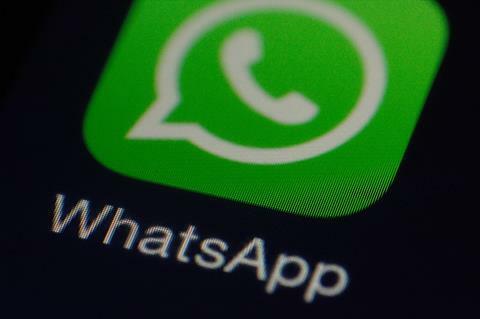 WhatsApp’s update to offer end to end encryption has been hailed as resolving security concerns. However, data transits through servers located internationally, constituting transfer of information overseas. Data is decrypted onto each smartphone, yet unlike online banking applications, WhatsApp does not require password protected login. Any misplaced or stolen phone can serve as a gateway to patient data. Clinical images received via WhatsApp are by default downloaded to phone memory and often uploaded to cloud servers automatically, accessible on linked devices and transmitted abroad. Various techniques have been described to improve data security when using WhatsApp clinically, including identification of patients by initials, record number, bed location, and intermittent message deletion. However, if clinicians are unable to clearly identify which patient the advice pertains to, there is a risk of patient harm. In the UK, the NHS forbids the use of WhatsApp for transmitting information in the healthcare environment. Incoming 2018 European Union data protection regulation will mean trusts could face fines of 4 per cent of annual turnover or £20m for patient data breaches involving smartphones. Group chats produce a string of text without any method of assigning tasks, or monitoring workflow. Our survey across 60 hospitals showed that 92 per cent of doctors would find a purpose built workflow app useful or very useful. There is no connected user directory. A bespoke solution would connect health professionals across each hospital, enabling nurse to doctor messaging and task assignment and interspecialty consults. Text transcripts of WhatsApp communication are downloadable, but structured information relating to specific patients cannot be easily extracted, making it difficult to integrate this data into medical records. WhatsApp runs whether staff are on shift or elsewhere: qualitative research has highlighted clinician dissatisfaction with receiving messages outside of working hours. An optimal solution would have geofencing functionality and clear settings to indicate clinical status. WhatsApp use amongst clinicians represents a poorly understood ticking time bomb given current UK data protection law and NHS guidelines, with 90 per cent of clinical NHS staff using this social messaging tool daily. The authors believe there is an unmet need for a bespoke clinical communication and workflow application, designed to retain published benefits of WhatsApp use whilst innovating in areas of weakness.